Our web designers and developers work together closely when executing their work. 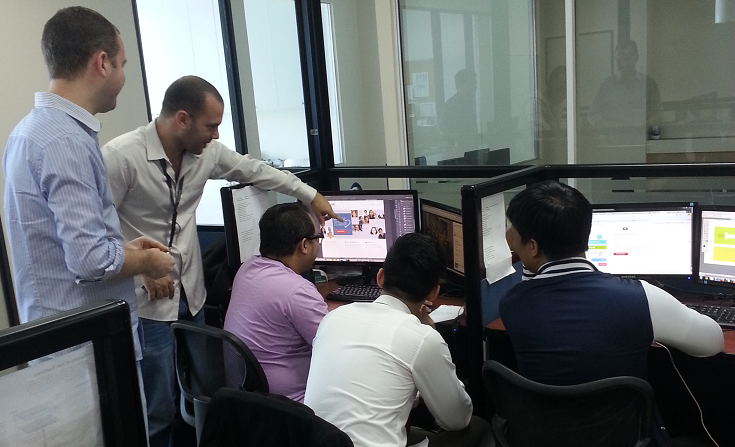 It’s important for us to see eye to eye when it comes to design and implementation throughout any project. Being aware of the following design concepts helps any web design firm stay on the right direction, and facilitates better communication across the board. Design should never be just about making a website look pretty. Design is about problem-solving. Every element placed in a website should solve a specific problem for the users. Starting out by identifying what problems the website needs to solve is a good way to define the design project’s goals. Before using a specific color, for example, designers need to consider what they’re trying to achieve. Will using that color make the text content clearer? Will it guide the user’s eye toward the next step in a specific process? Another point to remember is that problem solving through design thinking doesn’t just stop at visuals. You need design to determine how to structure a step-by-step process to make it easier for users to follow, or how to organize your content in a way that’s easy for users to digest. Every designer and developer has their own set of preferences when it comes to how a website looks and works, but they should never let this get in the way of creating a great experience for their users. Study your ideal users’ behavior and preferences carefully before beginning your project. Your website needs to address your users’ needs while providing an enjoyable experience. The smallest details can make or break a website’s design, but focusing on them too much might slow down the design process. Designers and developers should start focusing on the big picture first, and then coordinate throughout the revision and quality assurance processes to identify all the little details that need improvement. Grids are the “graphic backbone” of your website. As designer and author Mark Boulton says: “Well designed grid systems can make your designs not only more beautiful and legible, but more usable.” When working with grid systems, you need to think like a designer and a developer. Developers use grid systems as the framework for implementation, and designers use them to establish the alignment and balance of the website’s visual elements. Considering how your grid affects the website’s look and usability can help create a more unified design. Designers and developers can benefit from remembering how useful visualizing through sketching can be. Sketching designs and layouts before moving on to digital mock-ups and wireframes makes it easier for designers and developers to exchange ideas and suggestions. 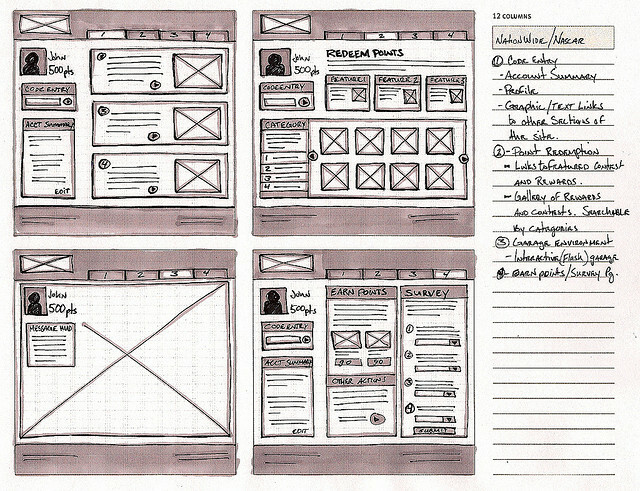 You don’t even have to be a brilliant artist to sketch how you think a website should look. You just need to make sure to communicate your ideas and why you thought of them. Creating the perfect website requires the perfect combination of design, development, and execution. Let’s work together to create the ideal website for your brand. Contact us today!